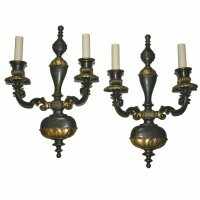 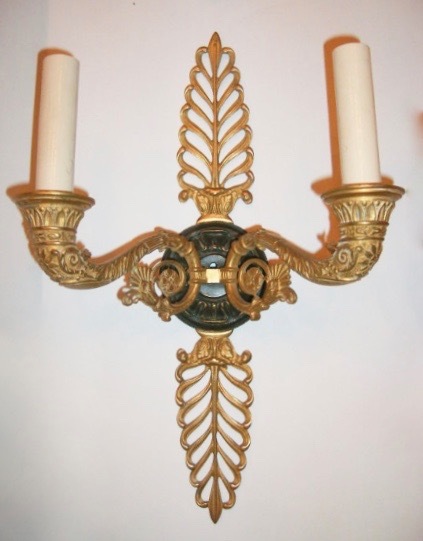 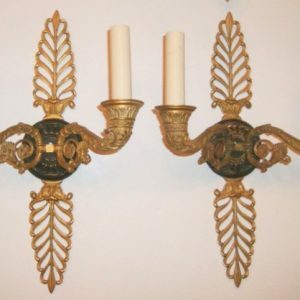 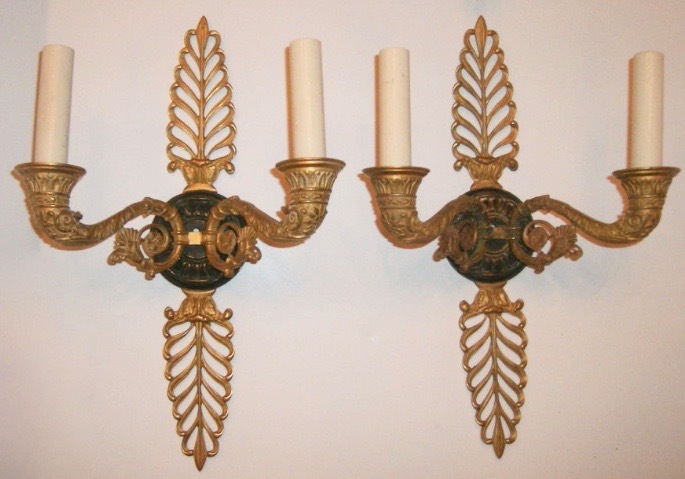 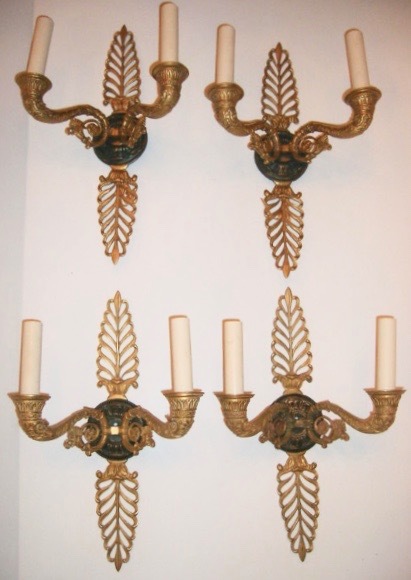 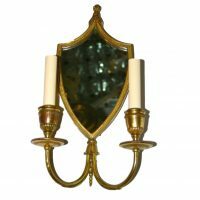 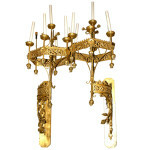 A pair of bronze French Empire style sconces with gilt and painted finish. 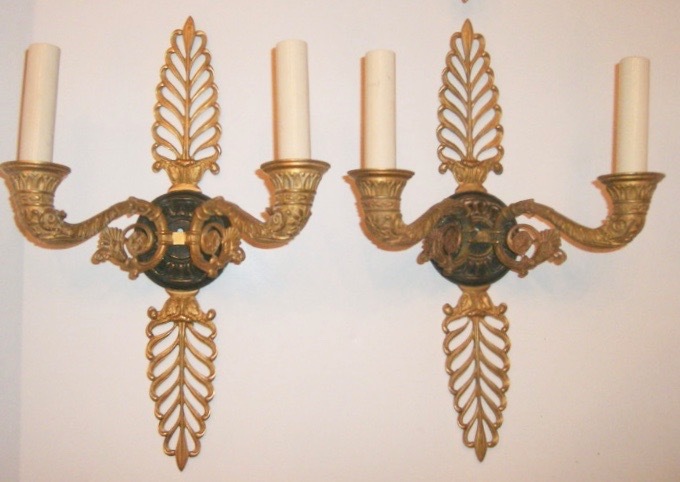 The body and arms with foliage motif. 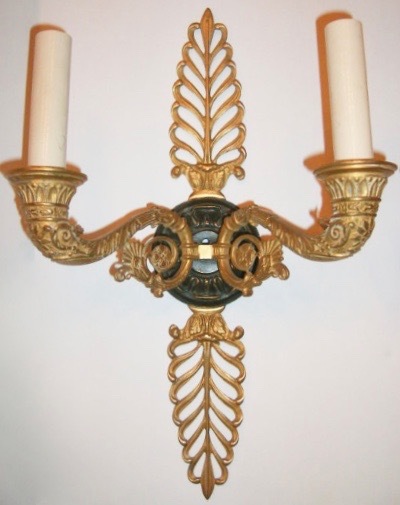 1920’s, French.